As you visit your neighborhood candle shop or botanica, you see shelves of little bottles of oils that are various colors and may have items floating in them. As you speak with the consultant or the person behind the counter, they may reach behind for a particular bottle and give you instructions on how to place the oil on your body (or someone else’s), rub on a candle or use in another fashion for your particular situation. These magical oils, sometimes called, “Condition”, “Anointing” or “Dressing” Oils can sometimes be used for all three purposes; sometimes each purpose needs a different oil, depending on ingredients in the oil. For the sake of clarity, let’s understand what the words “Condition”, “Anointing” or “Dressing”, as it can sometimes cause confusion through the many manufacturers of these oils. Anointing Oil – This is an oil that is placed on a fingertip and applied on the head, temples, back of the neck, hands, heart, or feet of the one being anointed. This is usually dome with the addition of prayer to boost the intent of the user or anointed in their strength of outcome for which the oil is applied. Another method of application is placing a few drops in one palm and rubbing the palms together to ‘heat up’ the oil. They then lightly rub over the surface of the body for a full body anointing. The direction of anointing in this method is also symbolic. 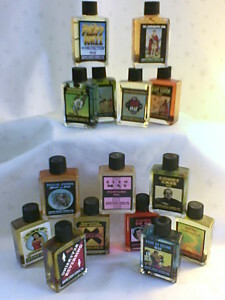 For example, if you have a client or if you are in a negative situation or series of events and you feel that you have been “Jinxed”, “Crossed” or “Hoodooed”, then you would apply “Jinx Killer”, “Uncrossing” or any other oils that send back to the original person, or send away oils to clean your Spirit, thus elimination any further “Bad Luck”. 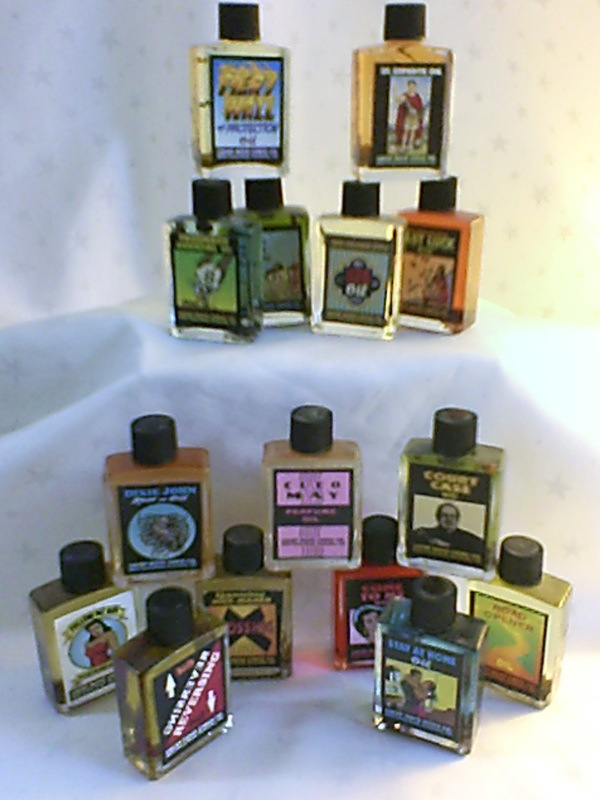 You can find these oils at many fine retails such as Lucky13Clover.com. Condition Oil – This term is used to describe the situation (or ‘condition’) that you are facing – Court Case, Steady Work, Road Opener, etc. At the same time, it also describes the method that you will need to utilize to relieve yourself of that condition. This term is used widely throughout the Southern United States and can be specifically linked to the practices of Conjure and Hoodoo. For example, using the same idea from above, if someone has placed something down where you have walked over it or touched it, and it has been “fixed” to cause you troubles, and then you subsequently you touch it, pick it up or step over it, you are then considered as having a “Crossed Condition”, or “Jinxed Condition”. The term ‘condition’ refers to all the oils that are used in ritual to relieve you of the “condition”. Are all “conditions” bad? No – generally not – unless you particularly like being someone’s “love slave” – a possible cozy condition to be in unless the one who has used rituals for you to be there is abusing the power, such as sleeping with you and another. Then it is not a pleasant situation to be in. Dressing Oil – This term is used to describe what to do when you apply the oil on non-human objects – candles, knives, papers, pens, etc. – to do your bidding. You “dress” a candle by pouring the oil over it or pouring the oil in your hands and rub the oil over it to cover all the candle’s surface. You “dress” your petition papers y placing a drop of oil in the corners of the paper (you do not ‘anoint’ the papers as the paper is not a living, breathing human. To apply oil on a human is to “anoint” them). 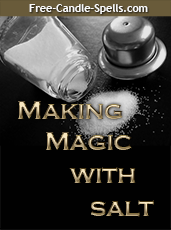 For further information on “Dressing” a candle, please click here to read this article in our Free Candle Spell archives.